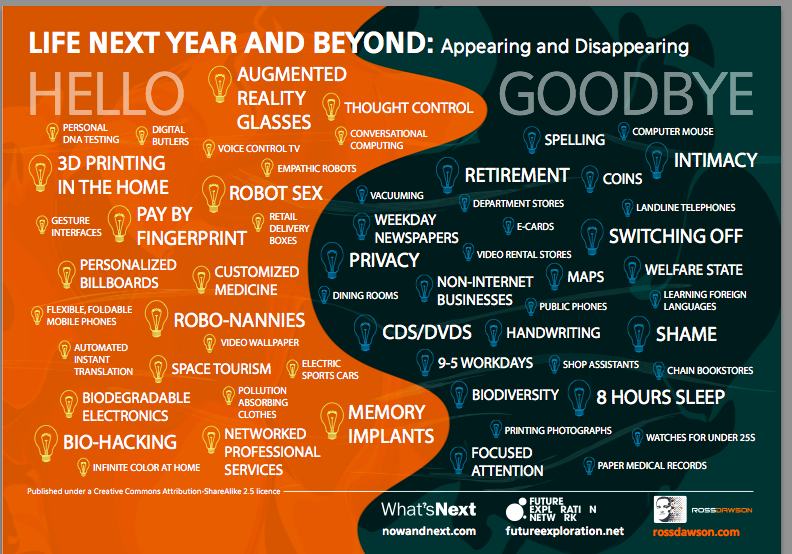 I’ve been collaborating with Ross Dawson to create a quick visual summary of some of the things that will be appearing and disappearing in our lives in 2013. The graphic is above and a text list is below. This entry was posted in 2013, Maps, Uncategorized. Bookmark the permalink. 5 Responses to 2013: Hello. Goodbye.